Esports, competitive video game playing, is a sport that’s caught the attention of colleges and teams around the world. While most games involve fantasy-based competition, one new esport involves agriculture. Farm Simulator is a life simulation game where players take care of a farm, making bales of hay, planting, and cleaning equipment. But is it an esport? Today on All Sides, esports, virtual reality and more. Competitive gaming has caught the attention of many, hosting large multiplayer competitions with attendance levels in the hundreds of thousands. Universities have taken notice and have begun to create teams with scholarship opportunities attached. Join us today as we discuss the growing trend of eSports, their presence in universities, and their status as a legitimate sport. Ohio State is adding a new varsity sport to its lineup: competitive video gaming. OSU is among the first major universities to announce a varsity esports program. OSU also is creating a curriculum in tandem with the varsity sport for students seeking careers in the business. And researchers will study the relationship between the brain and body of esport competitors. Today on Tech Tuesday: college level esports, telephone scams and more. 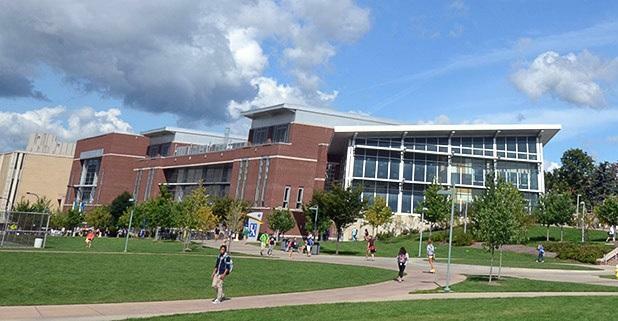 The University of Akron’s decision to cut 80 degree programs is being met with disappointment from faculty – not just because of which programs will be terminated, but also due to new investments into a program for online gamers.